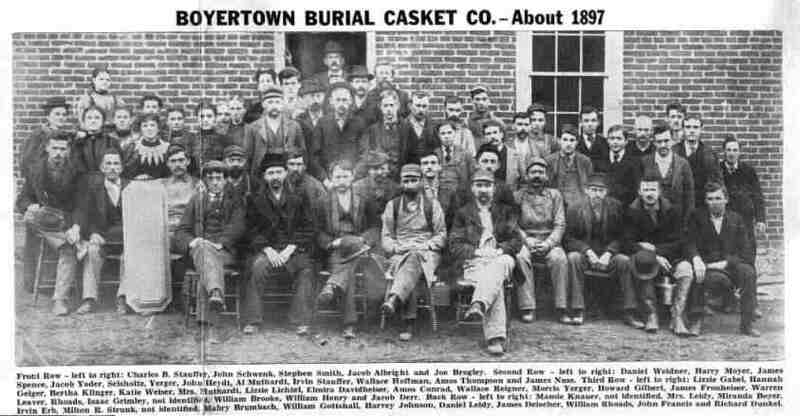 The Capital Stock Fixed at $20,000~ Which is All Subscribed For in a Few Days L Boyertown, March 25, 1893�A stock company has been organized in Boyertown for the manufacturing of burial caskets on a large scale. The project has been talked of and carefully considered by several of our leading citizens, and has in the past few days, taken definite shape. A charter is to be applied for at once. A meeting has been called to assemble in B. M. Yost's Building on next Monday evening to perfect an organization.